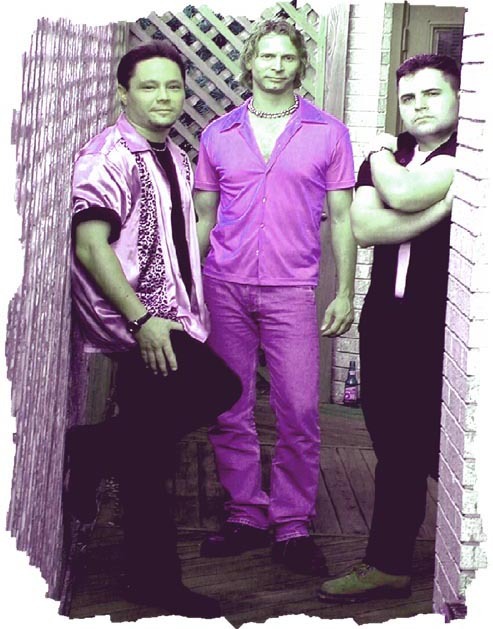 DNR is a San Antonio based funky rock band playing originals throughout Texas. Their songs feature tongue-in-cheek lyrics with subtle sexual themes. Tight and pounding rhythms from a truly natural bass and drum tandem lay a foundation for upbeat songs with sizzling guitar. This is a really fun band that always leaves the crowd with a warm fuzzy. When in San Antonio, Remember the Alamo but don't forget DNR! After having carpal tunnel surgery in early november drummer John Murphy played two shows in December with one hand! �(Please, no Def Leppard jokes) Since then he has been playing two handed, but taking it easy. �We expect for John to be playing with all appendages fully functional in January. John played Tacoland with both hands and it rocked! It will get even better as he continues to strengthen his hand. After a plethora of guest and fill in bassists DNR has their first full time bass player. �Chuck Marshall joined the band in early December and played both shows in December with the band. DNR is available for bookings throughout Texas. If you experience any problems with this web site E-mail Chuck Marshall.